My mom is just a leeetle bit into roses. All these roses you see, they live in her yard. 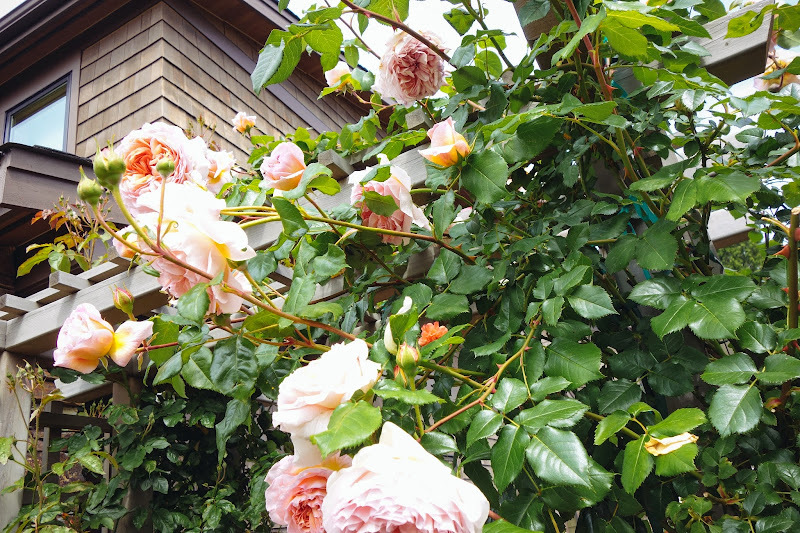 She calls herself a 'rosarian', which means 'someone who knows more about roses than they should.' She's funny, my mom, she's like a fairy of roses....everywhere she lives, there follows a trail of roses. 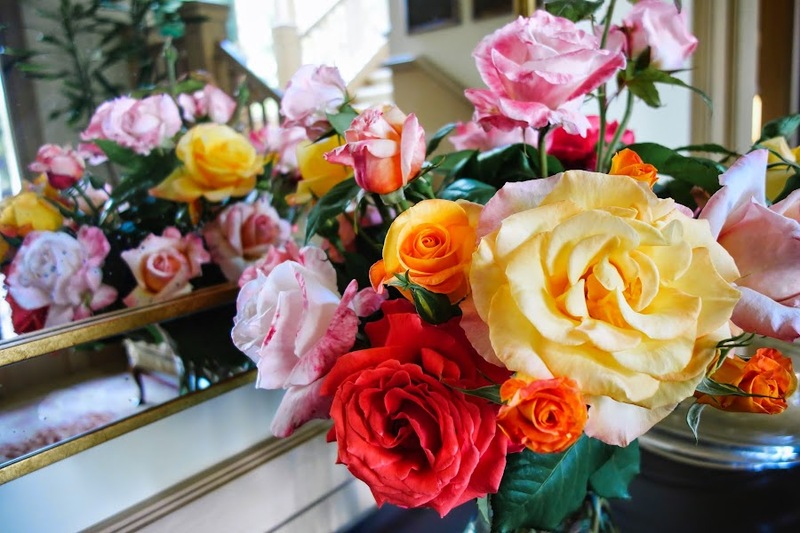 Not happy to just grow them, obsess over them, and place them all over her house, she also enjoys rose soaps and rose perfumes. I'm going to make her some kind of treat that has candied rose petals and see if she likes that. Have you ever had rose tea? I wasn't a fan. I like the idea of it though! Maybe this Downton Abbey English Rose tea might be better than the other one I tried. Ok back to roses. Um......they're pretty? One time I was in France when I was in high school and I smelled a rose that smelled like a piece of fruit. That was awesome! 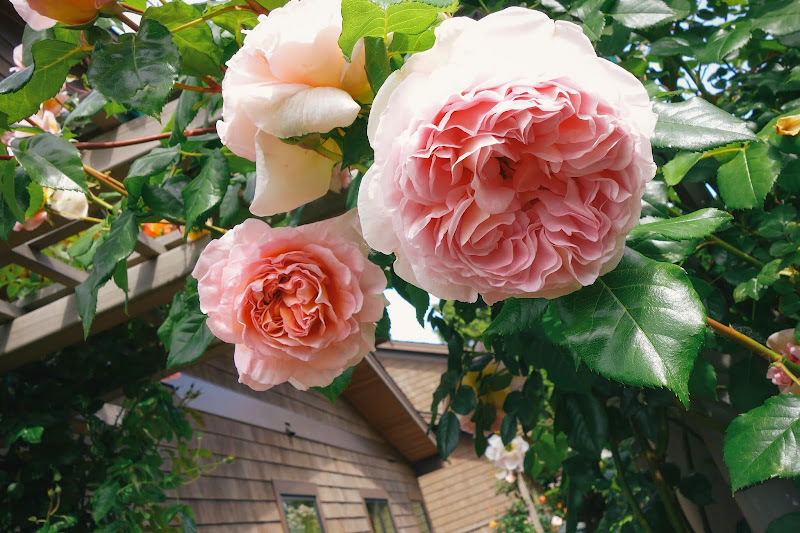 My mom likes to plant David Austen English roses, they are very Crabtree & Evelyn looking, very perfumey smelling roses with lots of petals in the inner section of the flower. Speaking of English things, I spied my sweet little daughter sitting on the floor the other day, casually flipping through my Downton Abbey planner/calendar. (go take a peek!) Anyway, she's just sitting there, looking through all the pages, wanting to know everyone's names, and I'm like 'No, that's Lady Mary and that's Lady Edith.' And she wanted to know when she could watch the show (oh heavens, I don't know, maybe age 12 or 13?? ), and informed me that some girl she knows who is only one year older than her has already been watching the show with her mama and loves it. Um, that is not happening, my small friend, no matter how cool of a show it is, it TISN'T FOR SMALL KIDS. And to end today's post, I recently came to a realization and it is this. I am not a gardener and that's ok. My mom, she pays for her garden. Other folks in my husband's family, they press their hands to the earth and flowers spring forth. My aunt, omg, she is a walking farmer's almanac and a true Master Gardener. But I'm not and I decided that was more than fine. 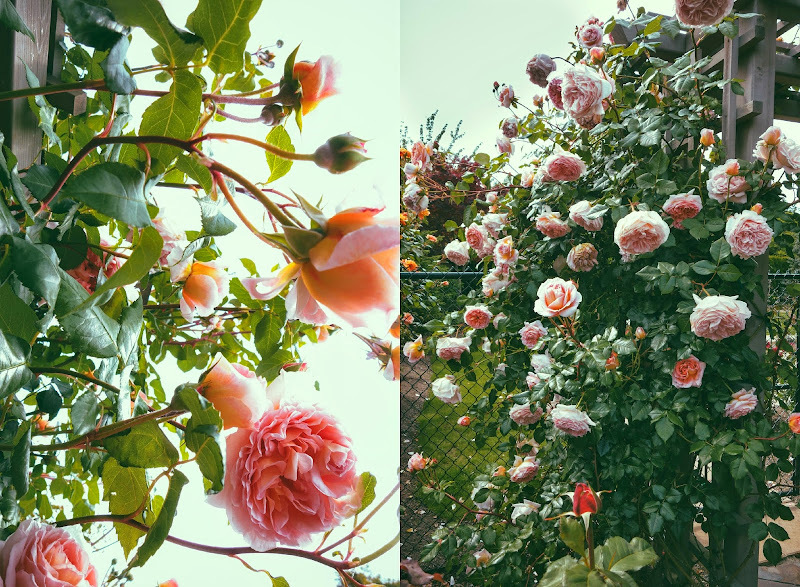 I kept trying to make myself love gardening, when the truth is I'd much rather be learning more about photography, or taking photos, or standing in the kitchen cooking. I have about a 5 minute attention span when it comes to gardening. Who says we all have to be gardeners? I'd rather clean and organize a closet. I'd rather make candied rose petals. Also, why why WHY can't peonies repeat bloom all summer long like roses? Andrew is very relieved that they don't, because he thinks they smell like cat pee. I'm shaking my head as I write this, as the utter audacity of the man, to say such a thing to me. Beautiful photos! 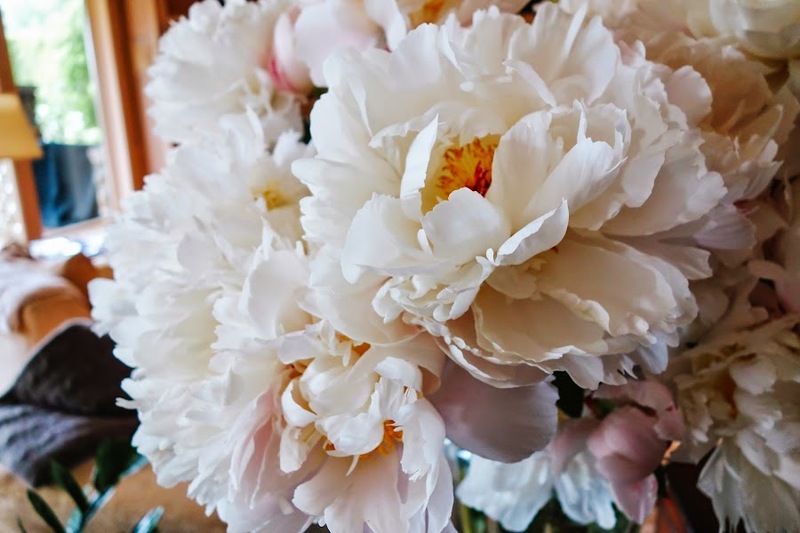 The peonies are my favorite flowers along with the tulips. 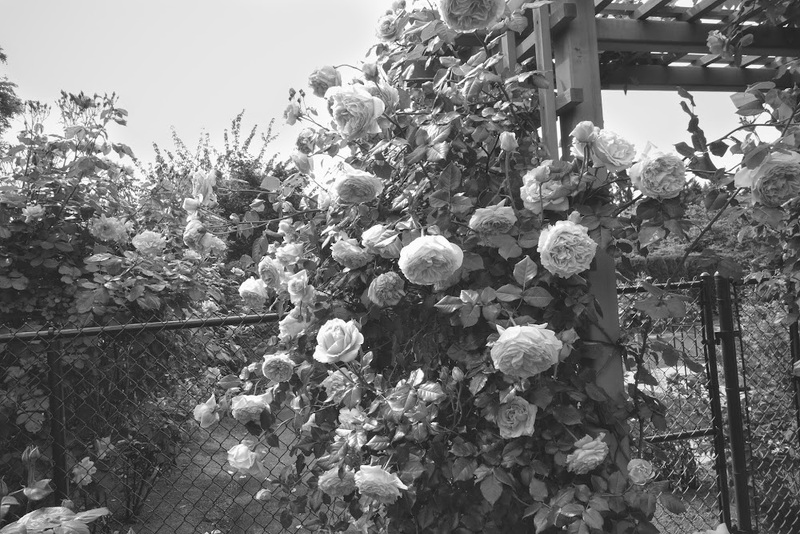 My mom loved roses. 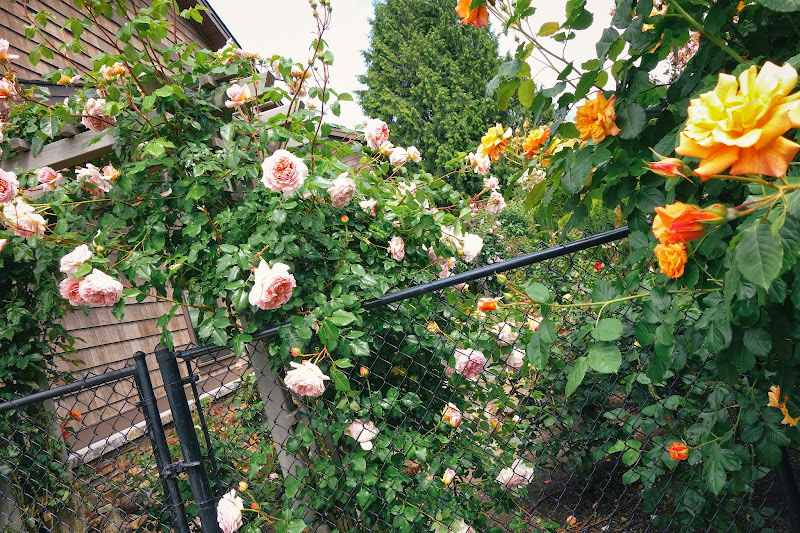 She grew roses in her garden. Only roses. Her name is Rose as well. She had rose-scented lotion and soap and stationary with rose motif. She ate jam made of rose petals. But I did not share her love of rose and hated the scent. I share your love of a pretty garden but I am not into gardening. LOL at Andrew's comment! I tried eating rose petal jam. It was ok. It tasted like...well rose petals. LOL I ate rose petals raw too and they taste ok. I don't think I had rose tea yet. Might give it a try just out of curiosity! But I hope it won't make me itchy! I have that tea. I've been meaning to review it. It's delicious. I love rose tea. I want to be a rosarian. Great pictures btw. I hope she loves the candied petals. Gardening isn't for everyone. It's an act of love. I'm bad at it but trying to change my ways. The photos are gorgeous! Roses are so lovely. There's a yellow rose bush by the entrance of the school. Apparently, Big Sis's first grade teacher planted it, and she told me they'll have to pull it out as they begin construction on the new school entrance this summer. I should have rushed back to the school and tried to dig it up. It's too late now. That said, I would probably kill it. The marigolds and petunias Mr. B put out for Mother's Day are already dying. I love to wear green, but a green thumb I have not. Sadness. Yeah, Big Sis keeps asking to watch some things that I have deemed inappropriate, at least until 12 or 13. I freak at some of the things the kids at school have seen, but I swallow it back and mind my own business. Sigh. non-gardeners unite! it's a nice idea, but really, i'm just not into fussing with the ground that much. we had a good haul of lettuce last yr but i spent so much time rinsing the slug poop off it all before Andrew would touch it....it just wasn't worth the time! I threw a few handfuls of wildflower mix onto the ground this year and am calling it good. We'll see if anything grows! Ok WHY with the extreme aging forward of kid media and viewing material? And READING material, for that matter. why why why? Julia asks all the time to read this that or the other thing, and I'm like, what will you read in the 5th grade? I feel like everyone needs to slow the eff DOWN. It's not a race! I too, am right there with the freaking and the sighing. Speaking of shows, have your kiddos seen that Disney show Jessie? About the nanny and the kids? Julia found it on Netflix and has watched every episode. She LOVES it. She squeals with laughter. She said, Mom, it's my Happy Show. It's pretty unobjectionable, has lots of kid hijinks action and she just has never loved a show ever so much in her life as she loves this one! Gah, Little Sis loves Jessie. They were introduced to A.N.T. Farm by their older step-cousins, and from there, I let them try Jessie and Step It Up. Mr. B and I like iCarly from Nickelodeon, which we watched over on Amazon Prime. It can skew a little older at times, but the characters are more believable. Sam & Cat, its spin-off, on the other hand... ugh. oooooh I'll bet J would LOVE Sabrina! Totally with you on Sam & Cat, bleh. Wow, those are just GORGEOUS. Dying for the day when I have a garden. These are just gorgeous!!! WOW. A secret wish of mine is to be a good gardener. ;) Probably ain't gonna happen, but one can dream? !